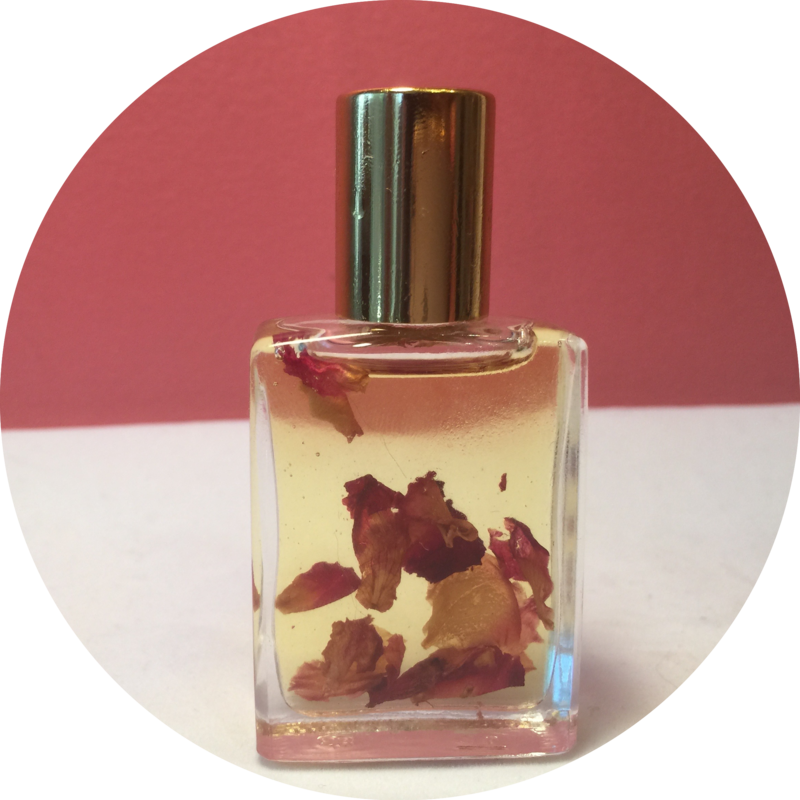 This clear square bottle is a roll on with a gold cap and filled with Tranquillité parfum oil infused with organic rose petals. Perfect for your purse. Your new parfum arrives in a black velvet pouch sprinkled with organic rose petals. 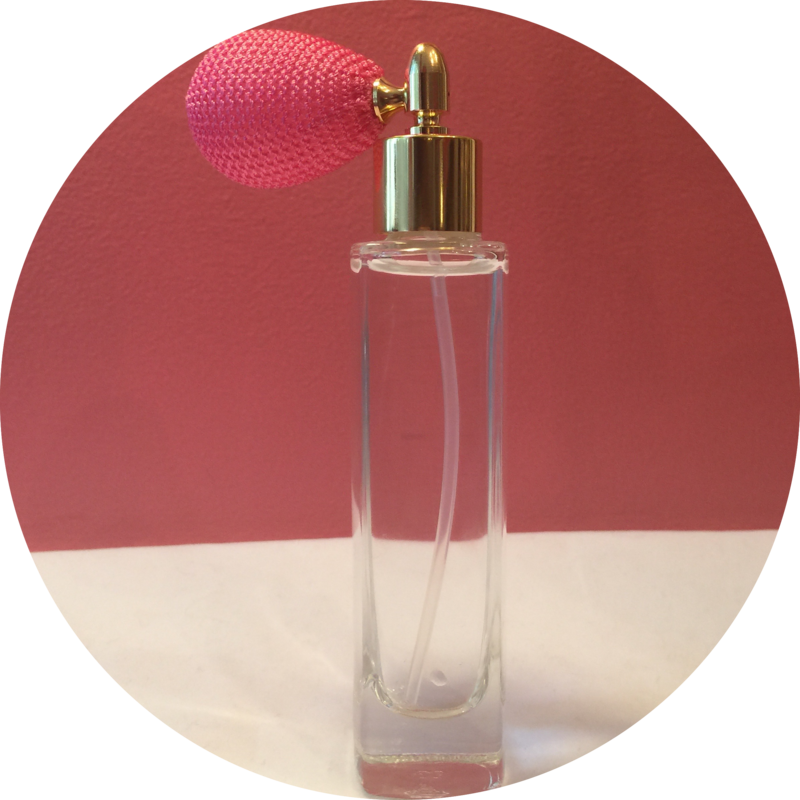 Bursting with notes of gardenia, jasmine, sweet musk, rose, and sandalwood, it’s a girly delight. 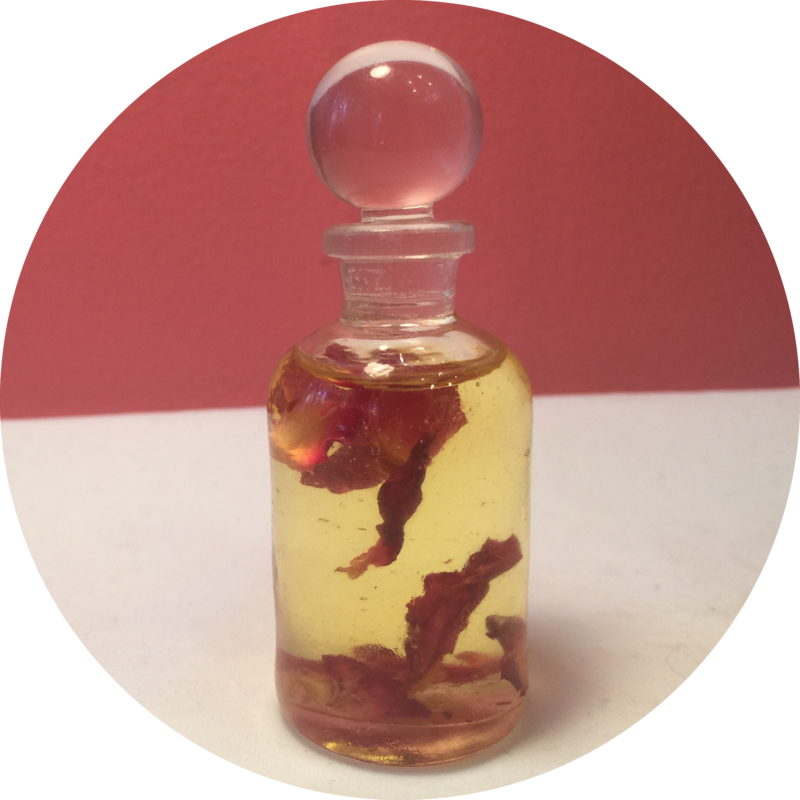 I created the original in my parfum class. Compared to L’Instant de Guerlain by my teacher, I find the scent to be an intoxicating blend of all things tranquility and an homage to Parisian style.